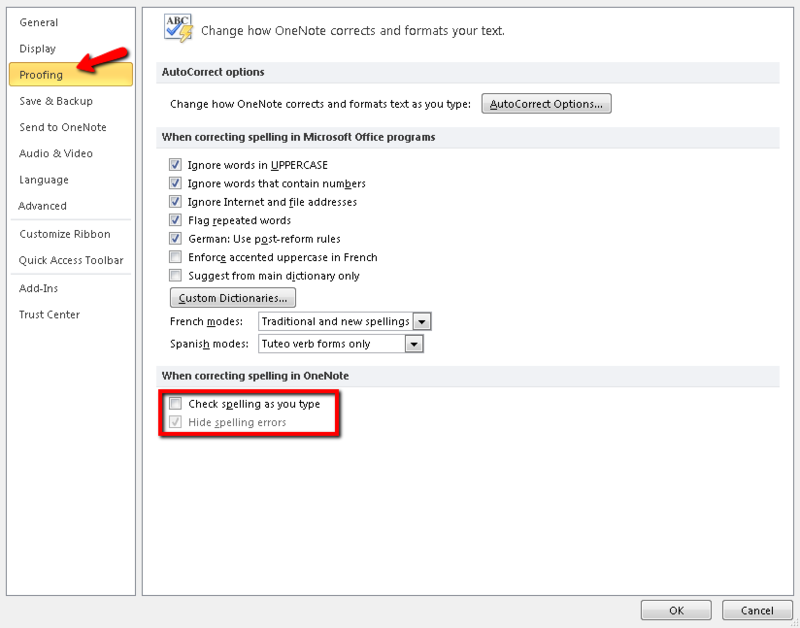 How to disable spellchecker in all OneNote 2010 documents? I want it to be off by default in all my current and future documents/notes. Not the answer you're looking for? Browse other questions tagged spell-check microsoft-onenote-2010 or ask your own question. How can I turn off proofing/spellcheck in Word 2010 for a single document? How do I Disable OneNote Upgrade Message?